The Hartlepool Mail has paid tribute to a "campaigning" journalist who has died at the age of 84. Jean Jacques was a former woman’s page editor for the Northern Daily Mail, forerunner of the Hartlepool Mail, writing first under the pseudonym Winifred West and later using her married name for the column ‘Jean Jacques writes...’. She had initially joined the Mail’s advertisement department but moved into journalism as a reporter in Keighley before moving to Hartlepool. 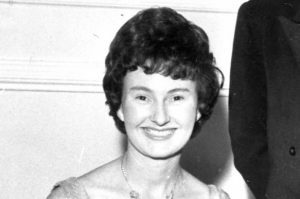 Describing her as "always upbeat and bubbly", a Mail obituary reports: "Among the many local issues she reported on in the 1960s and 1970s, her newspaper campaign for Hartlepool to set up its own open air market, so shoppers did not have to go out of town, led to change. "Jean, nee Roberton, first campaigned in 1978 to change the opening hours of the indoor market. Stalls used to close in the lunch hour and all day on Wednesdays. It led to the indoor market and other shops adopting a six-day week. Hartlepool council eventually agreed to allow a Thursday open air market, which still continues." Jacques died peacefully with husband Richard, the Mail's former chief sub editor, and daughters Janette and Judith at her bedside. Her funeral took place on August 4th.